Every week you join us for a new episode! This week we decided to give you, our listener a special treat, to meet the hosts of our podcast channels. 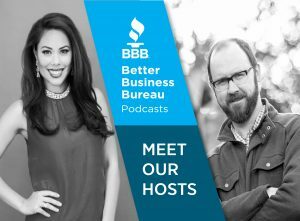 Join us for a fun episode as Will Johnson (Better Business > Better Series) host and Elaine Espinola (The Bistro) host tell us a little bit about themselves. You save for years to send your young adult to the college of their dreams. But, what happens when your savings isn’t enough, or your young adult decides college is no longer on their to-do-list? 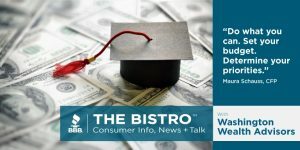 Maura Schauss, Managing Partner with Washington Wealth Advisors, joins us to discuss the different ways you can pay for college. Did you know the United States has not passed a major federal law to regulate the safety of ingredients used in personal care products since 1938? Nina Bradley Clarke is the Managing Director for Beautycounter, a leader in the personal care industry devoted to making safer and healthier products. 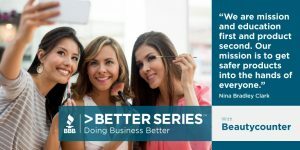 Nina joins us to discuss Beautycounter’s mission to get safer beauty products in the hands of consumers. Ronnie Notch, Co-Founder and Executive Director of Notes For Life Arts & Technology, joins us to discuss Notes For Life and its partnership with Microsoft. 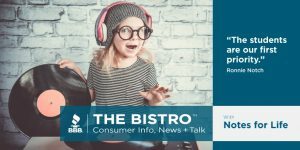 If your child is interested in music education, innovation, and entrepreneurship, or technology education, this episode will provide you with information to get your young person started in the musical art direction.